This is where bassist dreams come true! We can build your personal wish bass! Everything is possible: Fix the body shape, the neck dimensions, the scale length, the woods to use, the paintwork, hardware, pickups and electronics - everythingll! In our custom shop we can make your bass dreams come to life! Unusual body shape, special pickups combinations, wacky electronics - we take customer requests seriously, go into it, give kompetent advice and build your dream bass far away from the mainstream! First, we discuss the project in detail with the customer. Personally, by phone or by mail. When the key data is available (wood species, optics, finish, electronics, hardware) a quote and a first drawing will be made. That can still be tweaked, and if everything is right, we can start. We keep our customers up-to-date with photos. Typically, a project takes three to six months, depending on the workload. Four-neck bass? Fretless with three-octave neck? Everything is possible - if you have a special vision of your dream bass, call us, send a mail, or better still - visit us by appointment. We offer individual advice in our Hot Wire Studio, also by phone, and individual pricing. 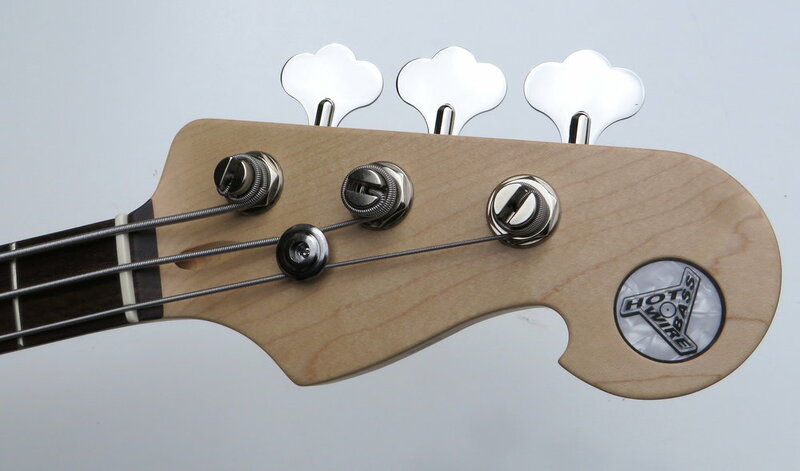 Each Hot Wire Custom Bass is a one-of-a-kind piece. Laser engraved, hand painted, made of plastic, wood or even leather. Everything is possible, we only need a precise drawing. Fiesta Red, Candy Apple Red, Sonic Blue, Sea Foam Green, Morrocan Red, or even "Mercedes Gold" - we love them all! We do aging in all variations, according to customer requirements. In keeping with the trend, of course height-adjustable and also with integrated pickup. 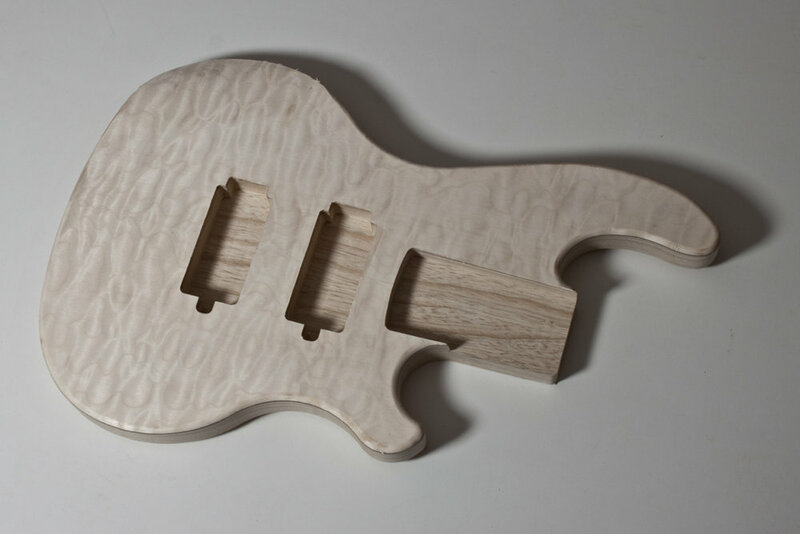 Swamp ash, alder or khaya mahogany for the body, combined with fine top wood such as Buckeye Burl, Poplar Burl or Quilted Maple. A multi-strip neck is made of maple, hornbeam and sapele mahogany. The fingerboard can be either rosewood, ebony, maple or pau ferro. To go with the body wood, or body finish. We make a perfect fit to ensure safe transportation even when the going gets ruff. We also have leather gigbags, tolex cases, soft cases. We can fulfill all your sound requirements. Quilted maple with doubletop optics, three special-purpose motherbuckers, bindings, block inlays, heated flight case. according to your own ideas - give us a a rough sketch and we´ll get started.